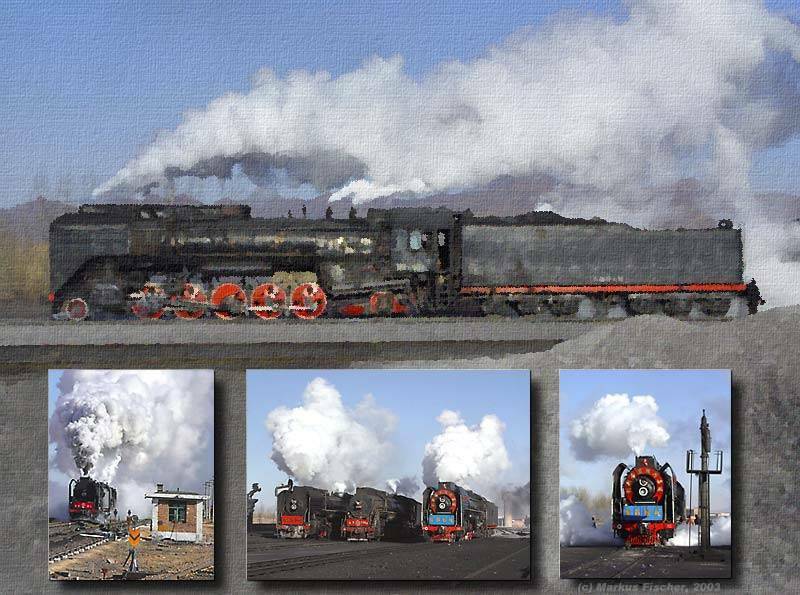 Daban was the busiest place on the JiTong line and was at its time the biggest mainline shed for steam locos worldwide. It was the place where the engines are kept and serviced for the long and heavy run westbound up the pass and all the way to Haoluku. 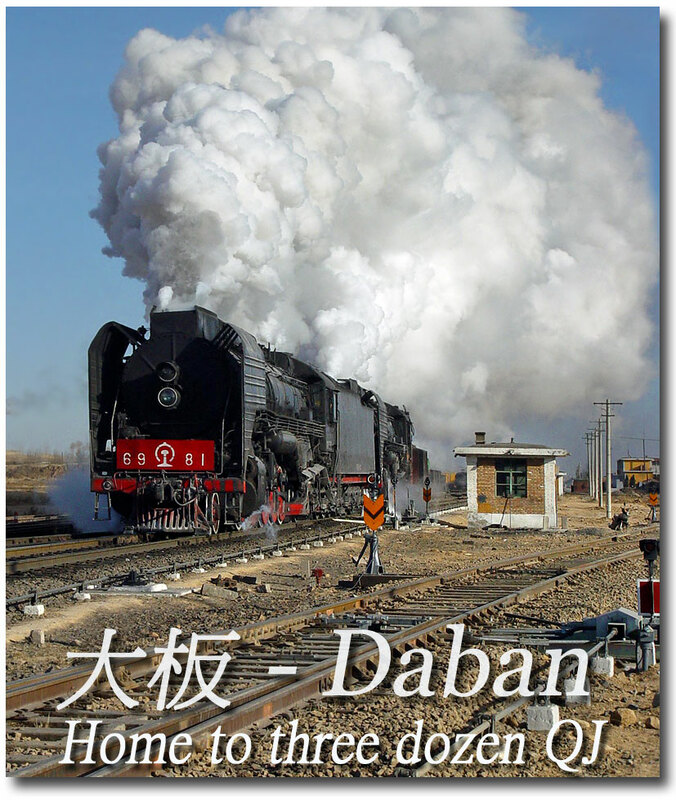 To the east, Daban engines run trains far as Chabuga. At the same time, JiTong's main workshop ware facilitated there, and major repair were undertaken there. Click on the pictures below to get to the Daban gallery! Markus Fischer, 2003. All rights reserved.